As parents, we can always use a helping hand. And, when it comes to diapers, that couldn’t be more true. Wanting to find diapers that are comfortable, leak-proof, cute, and affordable can seem like an insurmountable task. Thankfully, Honest Diapers is here to help. A favorite brand among savvy moms, Honest Diapers offer attractive quality and, with their convenient monthly shipments, ensure that you never need to pack up all the kids in carseats in the middle of the night just for a diaper run. Crafted with your baby in mind, Honest Diapers never use chlorine processing, latex, lotions, fragrances, optical brighteners, or organotins (MBT, DBT, TBT), which means you can feel confident about using them in your home and on your baby’s sensitive skin. 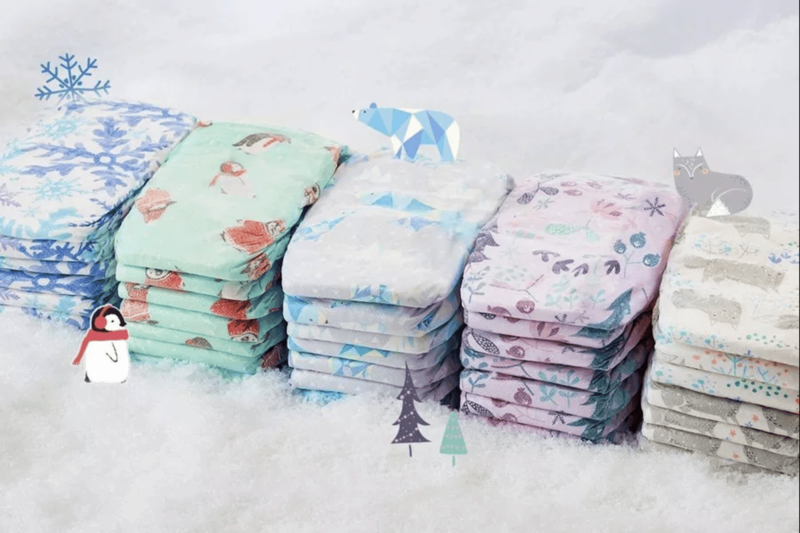 Eco-friendly to boot, Honest Diapers feature a wide selection of fun patterns and designs, perfect for your little boy or girl bundle. And available in sizes Newborn to 6, there’s a diaper for every baby in your house. Take one more thing off your plate and join this premium, automatic diaper delivery service today! When you bundle your diaper delivery with Honest Diapers, you save 22%, which adds up over several years! Each monthly diaper delivery includes 6 packs of diapers (you choose the size and design) and 4 packs of premium Honest wipes. Depending on the diaper size, each pack of diapers contains 22 to 40 diapers, which means that each shipment contains 132 to 240. Bundle subscriptions cost $79.95 each month – you receive over $100 of products! Designed to give you the convenience of baby essentials delivered to your door, your subscription with Honest Diapers can be changed as needed, with months skipped as requested when you are all stocked! Currently, Honest Diaper bundles are shipped to all 50 states and Canada. How would you rate Honest diapers ?